I received this book from NetGalley in exchange for this honest review. 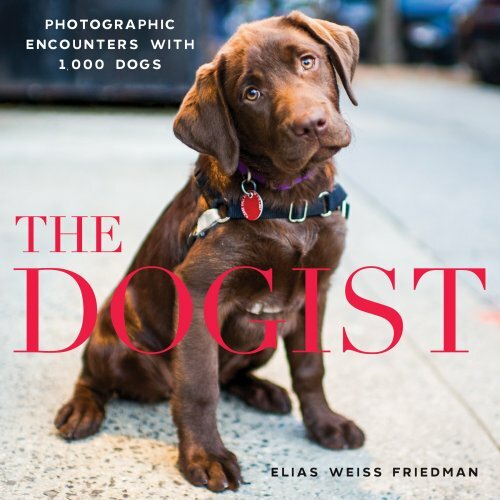 Before I saw this book, I was not familiar with The Dogist, a site devoted to the photographic beauty of dogs. Now I’m an ardent follower on Twitter, Instagram, and Facebook. This lushly photographed book is a thing of beauty and truly a joy forever, as you can lose yourself in the liquid eyes of canines each time you open this book. No matter what page you are on, there is charm and detail. Each section comes with an endearing title, such as “Seniors”, “Beards”, and “Little Dogs”. When you have multiple photos to compare side by side, you can truly appreciate the subtle differences between different dogs of the same breed–or the vast differences between various breeds with the same attributes. One of the cutest sections is called “Give a Dog a Bone” and shows dogs with, well, bones in their mouth. There is also a blurb about the author’s eponymous charity, which he calls a “Secret Santa for dogs”. There is the occasional two page spread that showcases one dog across both pages, or shows a dog in multiple shots, usually an action photo that includes a toy or squirrel. These are well crafted and really captures the spirit of the playful dog in action. The section called “Costumes” will make every dog lover smile broadly and marvel at how well the canines and clothing fit together. The expressions of the dogs range from being proud of their sartorial splendor, to merely tolerating their owner’s foibles. Yes, it’s easy to anthropomorphize in some of these photos; but do not all dog lovers do this? THE DOGIST is food for the soul, in that it gives everyone a chance to look deep into the very being of man’s best friend. Friedman’s utter command of the camera focus highlights each whisker, each tooth, each drip of slobber, and captures it for posterity. Finally, there is enjoyment in simply reading the dog’s name and breed. Every type of appellation is here; from whimsical to apropos. To me, this is one of the best parts of the book: people who normally may not see, for instance, a Dogue De Bordeaux will have a close up, extremely personal view. Some breeds are over represented, such as the Bulldog and Pit Bull, but there are some rare ones here too. I thoroughly loved looking through this book. Opening it at some random page will always elicit a smile and a feeling of a full heart. Dog lovers will rejoice in the familiarity of the poses, and those who appreciate fine photography will appreciate the unique images captured here. Yes–you want your own copy! Click [easyazon_link identifier=”1579656714″ locale=”US” nw=”y” tag=”gimmethatbook-20″]here[/easyazon_link] to purchase it.